Visit Patty Peck Honda, our Jackson MS area Honda dealer, to experience everything that the used Honda Accord Coupe has to offer. The 2015 model surpasses all of the rest as it returned with new features and enhancements. For the 2015 model year, the Coupe is available in LX-S, EX, EX-L, and EX-L V-6 trims. Among these various trims, lies the perfect 2015 Honda Accord Coupe for everyone. 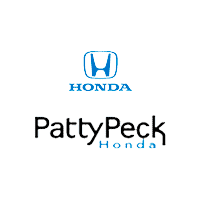 To find the right model for you, contact us at Patty Peck Honda today by calling (601) 957-3400. Someone from our committed staff is waiting to assist you. HondaLink™ will allow you to connect like never before. Access all of your favorite online content on your display screen, without reaching for your phone. You can reach your personal music, information, social media, and more with this capability system. Honda LaneWatch™ will further enhance your view of passenger-side traffic. A small camera on the passenger-side mirror will allow for the monitor to display on the i-MID screen, providing you with accurate video coverage of the side lane. USB audio interface, the engine start/stop button, the one-touch power moonroof, and many more features are available to make the Honda Accord Coupe the perfect vehicle for you. For more information about the 2015 Honda Accord Coupe, contact us at our Honda dealership serving Jackson MS today by calling (601) 957-3400 to schedule a test drive.